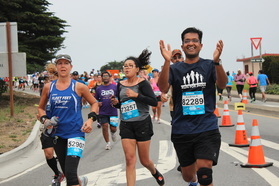 The runners raise funds for equitable, just and sustainable development work supported by AID Bay Area in the fields of Agriculture, Health, Community Empowerment, Environment, and Social Justice. We train for the ​San Francisco Half Marathon that takes you over the Golden Gate bridge. This year the marathon will be on Sunday, July 23rd. The training will start in March lasting 16 weeks. The training program is designed to help both novice and experienced runners. We provide nutritional guidance, advice on injury-free running, and app-based tracking of your daily exercise/stretching/hydration targets. 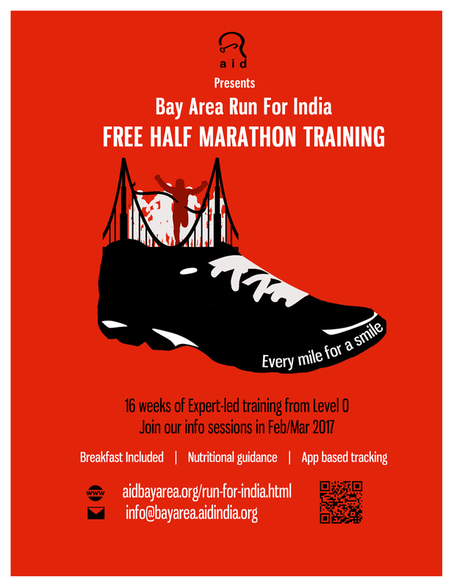 AID Bay Area supports 20+ projects all over India. 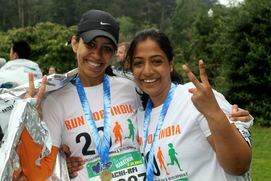 We hope to raise support for about 10 projects through Run for India program. We ask each runner for a commitment to raise a minimum of $500. ​Note: While many of us who currently volunteer with AID joined as runners, and we would love you to be part of our chapter, there is no formal expectation from runners to participate in AID activities. Registrations for BARFI 2017 are now closed! Where and when do we train ? 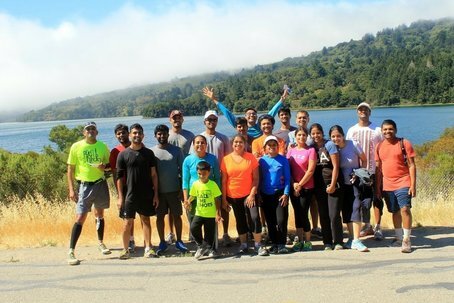 We train on scenic trails in several local parks in Bay Area from Campbell to Hillsdale to Fremont. We organize a weekend morning long run and a weekday evening short run. Smaller groups self organize other runs locally. 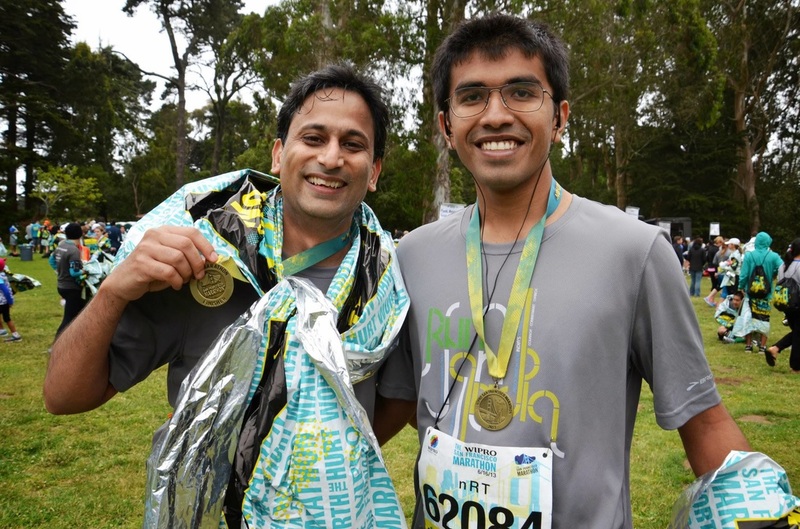 Our training program makes sure you are prepared for the small hills on the San Francisco Half Marathon course and whatever weather you may encounter on the day of the race! Running is the fitness activity requiring minimum gear. For new runners, we recommend that you get good running shoes. A few weeks into the training, we will organize a shoe clinic that will also include discount coupon for shoes. We also provide you with a race day active wear t-shirt as shown above.